Market.space is a decentralized system for data storage, transmission and direct content distribution for business and individuals. Market.space, a specialist in data storage solutions, today has announced the initiative to build a decentralized marketplace for cloud storage providers based on the blockchain technology. According to Gartner, the global public cloud services market is expected to reach $411 billion total revenue by 2020, with the highest revenue growth coming from infrastructure-as-a-service. Says Alexander Rakhmanov, Market.space founder and CEO: «Centralized and decentralized cloud services should coexist to serve different needs. The latter will offer prodigious scalability, together with more rigorous security measures to address cyber threats and social engineering risks. Market.space will adopt blockchain to provide unprecedented fault tolerance, ensure 24/7 data availability, offer anonymity protection and visionary copyright management features». Alexander Rakhmanov added: «To date, online storage and file management startups have raised up to $500m, garnered strong industry support and audience buzz. These, we believe, are key indicators of an ongoing disruption in the field». In search of free Bitcoin? Starting: March 15 at 12:00. End: April 26 at 12:00. 1 MASP = 0.35 USD. Cryptocurrencies accepted: ETH, BTC, LTC, DASH. Fiat money accepted by VISA and Mastercard. Token emission is limited to the Market.space ICO time: 6 weeks. 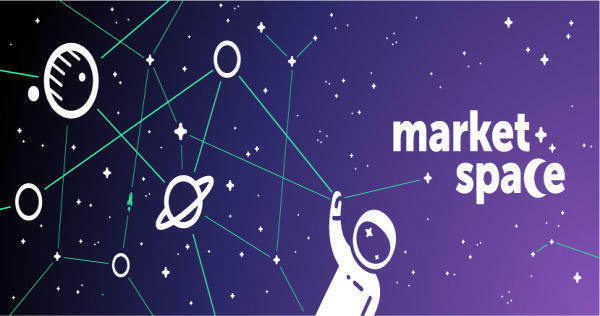 For more information on Market.space ICO the decentralized system for data storage, transmission and direct content distribution for business and individuals contact: http://market.space.